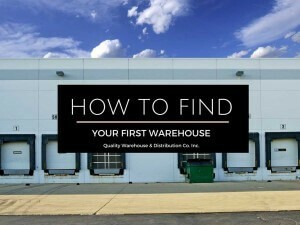 Hunting down the perfect first warehouse to suit your needs can cause frustration and worry. If you sell large quantities of product, then a warehouse would be the perfect home for all of your stock. They can store goods in temperature-controlled spaces, develop acute shipping methods, provide logistics, and even maintain inventory. Warehouses are there to offer a place to receive and deliver your products on a massive scale. When first starting out on the search, contact anyone who would know warehouses. This includes product companies nearby that already use warehouses. See who they’ve worked with and if they were satisfied. Once you start interviewing prospective warehouses, make sure to get a handle on what they’re charging. Ask about their shipping rates, fulfillment fees, and storage fees. Investigate and run reports to see what methods are best for your particular orders. Always keep revisiting these fees as they continuously change! Warehouses should be near the majority of your customer base. They should also be close to big major carrier centers, ports, or even near your production facility if in the United States. Being close will save you money on shipping rates while also ensuring timely delivery for your customers. Though it may seem more comfortable to have the warehouse near your office, it is less important overall. Your first warehouse should be able to handle your products with ease. Ask if they can handle kitting (bundling products together) and temperature adjustments for your goods. It’s also good to ask how fast the process is from dock to stock. You’ll want your products off of the truck and into storage as soon as possible so you can sell. While you’re there, look at the warehouse itself. Is it clean? Are the forklift drivers operating safely? Just looking at these signs can give clues toward how the warehouse is managed. 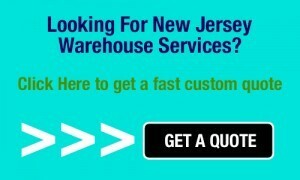 Ask if the warehouse has a help desk and how they handle last-minute order changes, returns, and questions. If an order is received late, it will reflect badly on your company. All customer inquiries and issues should be dealt with in a timely manner. It’s also important for the warehouse to be easily reachable by giving you an account representative as a first contact. Finding your first warehouse doesn’t have to be headache-inducing. With the proper tools and research to get you started, you’ll be well on your way toward finding the perfect spot.